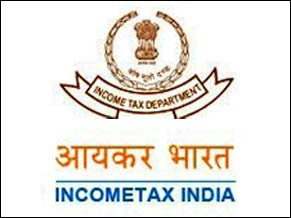 As I had already informed readers way back in March, 2013 through my article, the Central Board for Direct Taxes, today notified that those individuals earning Rs.5.00 lakh or more during the financial year 2012-13 (AY 2013-14) will have to file their eReturns with the Income Tax Department. Ever so slowly, the CDBT has brought perhaps all its tax payers under the e-filing net. Because those salaried employees whose earnings for the year are less then Rs.5.00 lakhs and do not have interest income (Bank interest) of more than Rs.10,000.00 are any how exempted from filing returns. This under Rs.5.00 lakhs employees include those whose Tax Deducted at Source(TDS) is being deducted by the Employer. Prior to this notification, e-filing had been mandatory for those whose income for the financial year exceed Rs.10.00 lakhs. Now with the new notification the CBDT feels that it will have chunk of the tax paying citizens in the e-filing net giving both taxpayers and CBDT a greater transparency. The Salaried taxpayers are however as of today exempted from obtaining digital signature for e-filing their returns. So in essence it means that after you have filled your e-return, you have to just send a hard copy to the CPC, Bangalore. Those salaried tax payers who have income of less then Rs.5.00 lakhs per year but have income from house property and other sources can file their returns in Sahaj (ITR1). You can download Sajaj by clicking this link and there are plenty of sites which offer Sahaj in excel format, if you prefer that. If the tax payer has to report a loss under head Income from house property or winnings from a lottery then the individual has to file a e-return. Income Tax Department - Centralized Processing Centre,Post Bag No - 1,Electronic City Post Office,Bangalore - 560100,Karnataka - India. Please bear in mind the last date of filing your return for the current financial year 2012-13 (AY 2013-14) is 31st July, 2013. So your employer should issue you a Form 16 by 15th May, 2013. I will post another easy way to e-file your returns soon. Please write in your questions, queries, suggestions which I will answer with the help of a Chartered Accountant.